For what it's worth, Panorama Festival in New York is not happening this year. Considering they've been signing up to do shows by Goldenvoice, there goes a logical New York date. Point being, and I know it's still early, I think CA/MX dates are all that North America is getting. It’s the weekend before Creamfields. Doesn’t seem like a fit though based on what type of artists they claimed to want to book for it. Disclaimer: Wolkenkrabber had it first!! Chems headlining Creamfields this year! The Chems mentioned there might be an extra UK gig to be added in their recent Lauren Laverne interview. Then when she said "Glastonbury" they said, "maybe two". So they must have been thinking a possible Glastonbury and a possible...Creamfields. I'll make checking the previous page a habit from now on. Promised! Creamfields Festival on August 24 and wishing so hard that Lollapalooza in Chicago tapped them to come and play. I know it's highly unlikely but I'd hate to think that those dates on the West coast are the only US dates they are going to play in 2019. All my friends in Cali are going and it's killing me. I would imagine the cost to book the Chemical Brothers is the budget for a headliner at Lollapalooza (Chicago). I doubt they're willing to let them headline. Lollapalooza isn't interesting enough anymore to think outside of the box anyway. The Chems will be playing live at the Eden Project in Cornwall, England. Looks like a cool venue. The Eden Project is fantastic. I would absolutely LOVE to see The Chems play there. I actually listened to Singles 93-03 for the first time while walking around those domes. Feels like I'm back there every time I heard Delik. Aw, how cool's that. Yeah, Don't Think 2.0 indeed Better mixed this time and with a Mediabook release that includes BluRay! 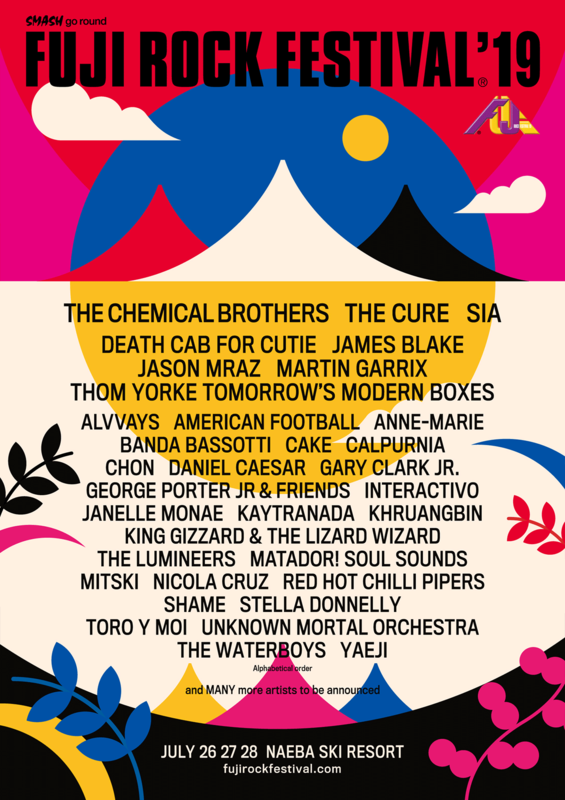 Anyone know which day they’re performing at Fuji Rocks? I know the list of live dates on here has it down as July 26th, just wanted to know for definite. Another gig in Russia! St. Petersburg's SC Yubileyniy (Jubilee Palace of Sports) at 6 june. Not yet. Festivals are always harder to plan as the slots are yet to be determined. We'll let you know when we know more! Should i went to 2 gigs in row? Whatcha think?